Women who have gastric bypass surgery to lose weight should keep a close eye on their alcohol consumption, according to new research at Washington University School of Medicine in St. Louis. A small study indicates that changes in how alcohol is metabolized after surgery can speed its delivery into the bloodstream, resulting in earlier and higher peaks in blood-alcohol levels. Studying women who had undergone gastric bypass surgery, the researchers found that those who had consumed the equivalent of two drinks in a short period of time had blood-alcohol contents similar to women who had consumed four drinks but had not had the operation. The researchers studied alcohol’s effects in 17 obese women. Eight of the women had undergone Roux-en-Y gastric bypass surgery - the most common bariatric surgical procedure worldwide - one to five years before the study began. The other nine participants had not yet had the operation. As part of the study, the women spent two days, about one week apart, at Washington University’s Clinical Research Center. On one visit, each woman randomly consumed either the equivalent of two alcoholic drinks or two nonalcoholic beverages during a 10-minute period. At the second visit, each was given the beverages not received during the first visit. At both visits, the researchers measured the women’s blood-alcohol contents and used a survey to assess their feelings of drunkenness. “These findings have important public safety and clinical implications,” said senior investigator Samuel Klein, MD, the William H. Danforth Professor of Medicine and director of the Center for Human Nutrition. “After just two drinks, the blood-alcohol content in the surgery group exceeded the legal driving limit for 30 minutes, but the levels in the other group never reached the legal limit. Roux-en-Y gastric bypass (RGB): This operation is the most common gastric bypass surgery performed in the U.S. First, a small stomach pouch is created by stapling part of the stomach together or by vertical banding. This limits how much food you can eat. Next, a Y-shaped section of the small intestine is attached to the pouch to allow food to bypass the duodenum as well as the first portion of the jejunum. This causes reduced calorie and nutrient absorption. This procedure can now be done with a laparoscope (a thin telescope-like instrument for viewing inside the abdomen) in some people. This involves using small incisions and generally has a more rapid recovery time. 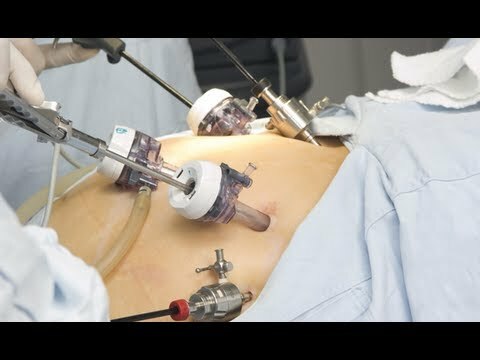 Extensive gastric bypass (biliopancreatic diversion): In this more complicated gastric bypass operation, the lower portion of the stomach is removed. The small pouch that remains is connected directly to the final segment of the small intestine, thus completely bypassing both the duodenum and jejunum. Although this procedure successfully promotes weight loss, it is not as widely used because of the high risk for nutritional deficiencies. Funding for the research comes from the National Institute on Alcohol Abuse and Alcoholism, the National Institute of Diabetes and Digestive and Kidney Diseases and the National Center for Research Resources of the National Institutes of Health (NIH), grant numbers AA 020018, DK 56341, UL1 RR024992 and AA 11998; and by the Midwest Alcohol Research Center.